The stories seem as tall as the lake is deep. 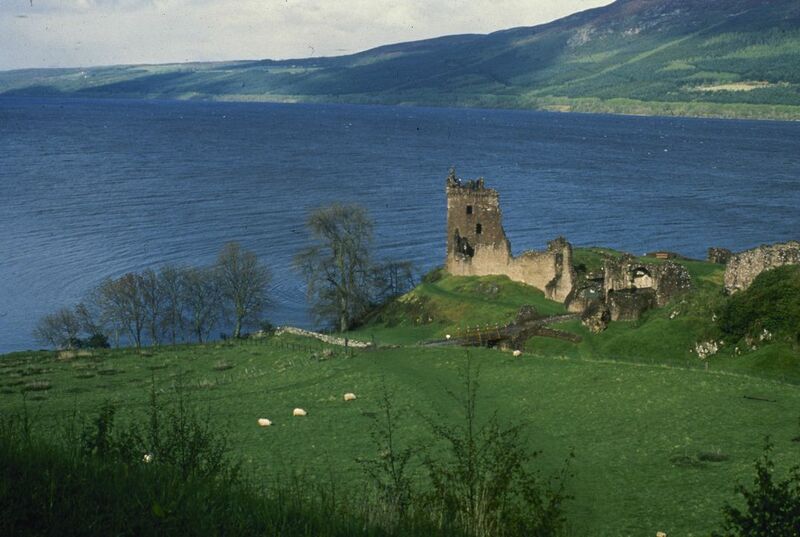 For hundreds of years, visitors to Scotland's Loch Ness have described seeing a monster. Some believe lurks in the depths. But now the legend of "Nessie" may have no place left to hide. A New Zealand scientist is leading an international team to the lake next month. They will take samples of the murky waters. And conduct DNA tests to determine what species live there. One of the more far-fetched theories is that Nessie is a long-necked plesiosaur. People believe that it somehow survived the period when dinosaurs became extinct. Another theory is that the monster is actually a sturgeon or giant catfish. Many believe the sightings are hoaxes or can be explained by floating logs or strong winds. Gemmell said that when creatures move about in water, they leave behind tiny fragments of DNA. It comes from their skin and feathers. It also comes from their scales and urine. He said his team will take 300 samples of water from different points around the lake. They will also come from different depths. They will filter the organic material and extract the DNA. They will sequence it by using technology originally created for the human genome project. "I'm going into this thinking it's unlikely there is a monster. But I want to test that hypothesis," Gemmell said. "What we'll get is a really nice survey of the biodiversity of the Loch Ness." Gemmell is 51. He said he first visited Loch Ness in his late 20s while on vacation. Like thousands of tourists before him, he gazed out over the lake trying to catch sight of a monster. He said he first came up with the idea of testing DNA from the lake a couple of years ago. The idea resonated with many. This included his children who are 7 and 10. Graeme Matheson, chief of the Scottish Society of New Zealand, said he, too, has visited Loch Ness. He also gazed out over the water. He wishes Gemmell all the best. Gemmell said that even if they don't find any monster DNA, it won't deter some Nessie believers. He said they've already been offering him theories, like that Nessie might be on vacation after swimming to the sea via hidden underwater caves. Another theory is that the creature might be extraterrestrial and not leave behind any DNA. Probably, Nessie existed centuries ago, but not anymore. The locals want to continue conserving the story. The Loch Ness Monster is considered a legend because there are not enough proves to determine its existence. Even thouh there are a lot of photos and videos, scientific evidence is nedeed. Maybe this monster was created by some inhabitants of that area to catch attention and interest of visitors in this place. Because many people believe "Nessie" live in the Loch Ness Monster, and "Nessie" represents a part of Scottish culture, so many people have alived the story of a strage animal specie live there for a long time. Nessi will remain a legend as long as people want to include some mystery in their lives. For locals in Scotland, Nessi represents a good way to attract tourists. 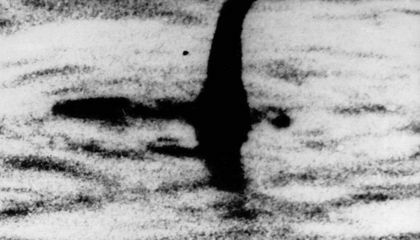 Loch Ness Monster is considered a legend because it is a popular story that hasn't been verified. In this specific case there aren't authenticated evidence to proof the existence of the monster. There are some stories of people and pictures , but a scientific validation is missing to consider the monster is real. The Loch Ness Monster is a legend because a lot of people have seen it, so they started to develop stories to explain its existence. The idea that this is a huge creature provoke fear in people. Scientists try to explore and define the origin of this creature to give an explanation to all the people that believe in this invasive specie. Loch Ness Monster is considered a "legend" because locals only have described a big monster, but they have not scientific evidence about that. Because for a long time visitors to Scotland's Loch Ness have described seeing a monster, and this legend goes from generation to generation. People have seen it believe that it is a creature from the age of the dinosaurs. For that reason, many scientists want to discover the true about this creature then they go to recolect the fragment of DNA of deepth of ocean to determine what creature can be if it is a monster, sturgeon or giant catfish. Because it was born as an oral narrative that mixes reality and fantasy. Because nobody has found any proof until now.